Café Scientifique Española’s Emmett Moulton sets the up the RoboRAVE robot as John Moulton looks on. RoboRAVE was an event that may have change our lives forever. Not only was it about working with robots and how to program them, it was also about the teamwork and experience. The Española Cafe team is comprised of Sergio Madrid, senior, and Cristian Madrid, Emmett Moulton, and Liam Silverman, juniors in high school. 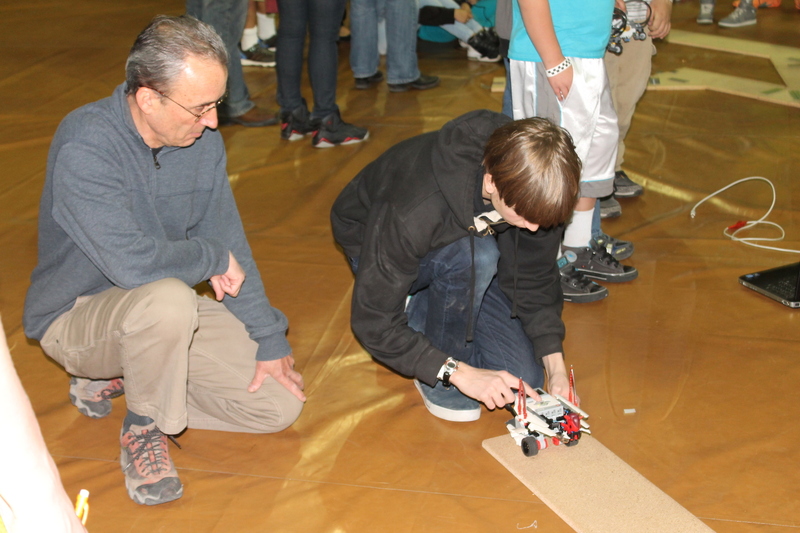 The event that we competed in at Roborave in Albuquerque this May was called a-MAZE-ing. Basically you have your robot navigate a raised wooden path that consists of straight-a-ways and different angles. The faster you go, successfully completing the course, the more points you get. It seems simple in theory, but it actually turns out to be pretty challenging. We came up with a way to input all of our distances into the computer program and were able to get the necessary rotations in a quick and straightforward manner. This helped us at the competition, and we were able to complete the course multiple times without many hiccups along the way. We measured, input information to the computer program, modified with practice runs, and kept track of successes. This allowed for a much faster and more efficient method of programming the robot. In addition to the technical aspect of robotics at the competition, we also were able to meet other people. It was an amazing chance to meet people from different countries and to learn different ideas that we may not have thought about. We even recognized team members from China that we met two years ago! As Roborave grows, more and more countries are getting on board and it was an amazing experience to see so many countries represented, right in Albuquerque. 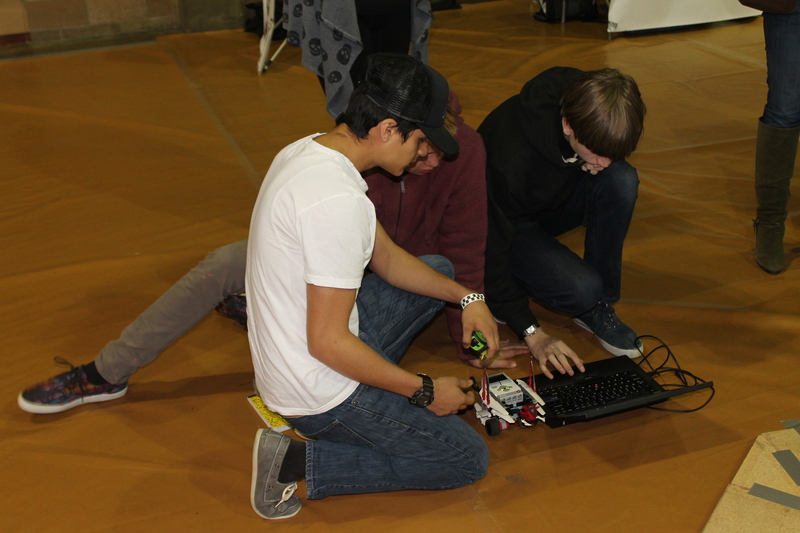 The Café Scientifique Robotics Team programs their robot for competition. In the a-MAZE-ing category, our team won first place. We were very happy to have won first place for the second time and were very thankful for all the support from our team leaders. Two years ago, we had two teams competing in the A-Maze category (its first year as a category). The teams won first and second place that year and now we have won it again. Without the help from Savannah Trujillo, our team leader and Café sponsor, our families, and many others, we would not have been able to make it to the competition in the first place. Savannah has really inspired us to keep going forward to try to win again at the competition. Roborave is an “amazing event” (pun intended) and our team highly recommends it to anyone who is interested in robotics or programming.